I can help you bring your dreams to life and make something totally unique for you on your wedding day. I will create your perfect outfit for your special day. 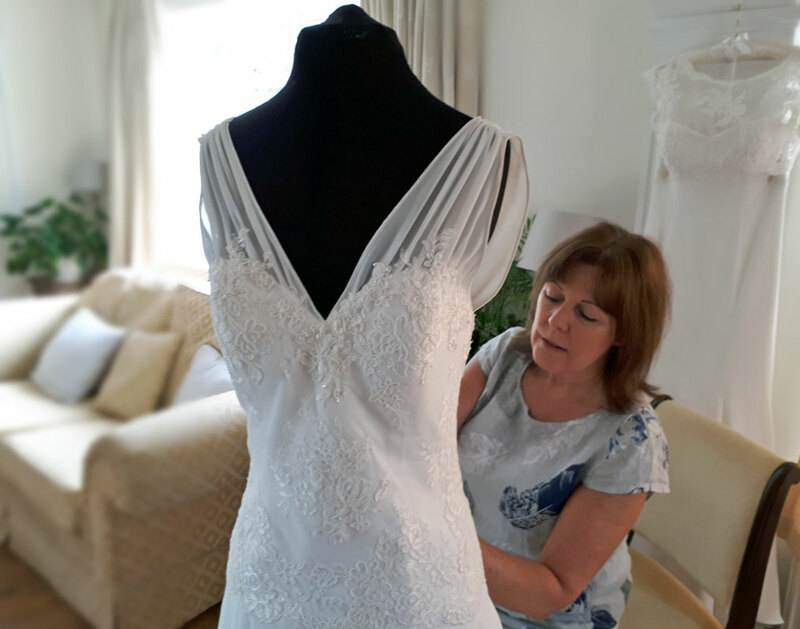 By commissioning a bespoke wedding gown from me, you can be assured you will receive a perfectly styled gown, fitted for your shape and you will be involved directly with the dressmaking process at all stages. At the initial consultation we discuss your ideas, styles and fabrics. I can develop your wedding dress from a picture or I can sketch a design from your basic description. 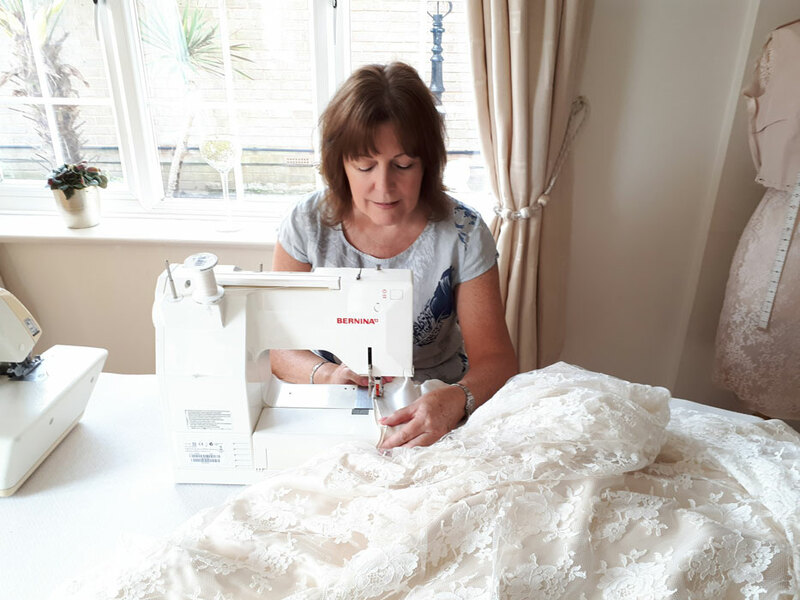 You will have the opportunity to add your own unique personal touches, choosing colour, type of fabrics and embellishments to make your dress truly individual to you. Once we have finalised a design and costing, I will take your measurements and then a paper pattern is made which is unique to you. From this I make a toile, which is a mock up of your dress made in calico. At this fitting we will ensure the perfect fit, and refine the style. Decisions about fabric and detail are finalised at this stage. In order to ensure a perfect dress, 2 or 3 further fittings are usually required. My policy is to give 100% satisfaction to brides, bringing their ideas to life by producing work of the highest quality. You are welcome to visit me for a free no obligation consultation and to view photos of my designs I have completed over the past years. I also have samples of dresses for you to look at and try on. Every bespoke garment is a one off, individually created and beautifully finished especially for each client. 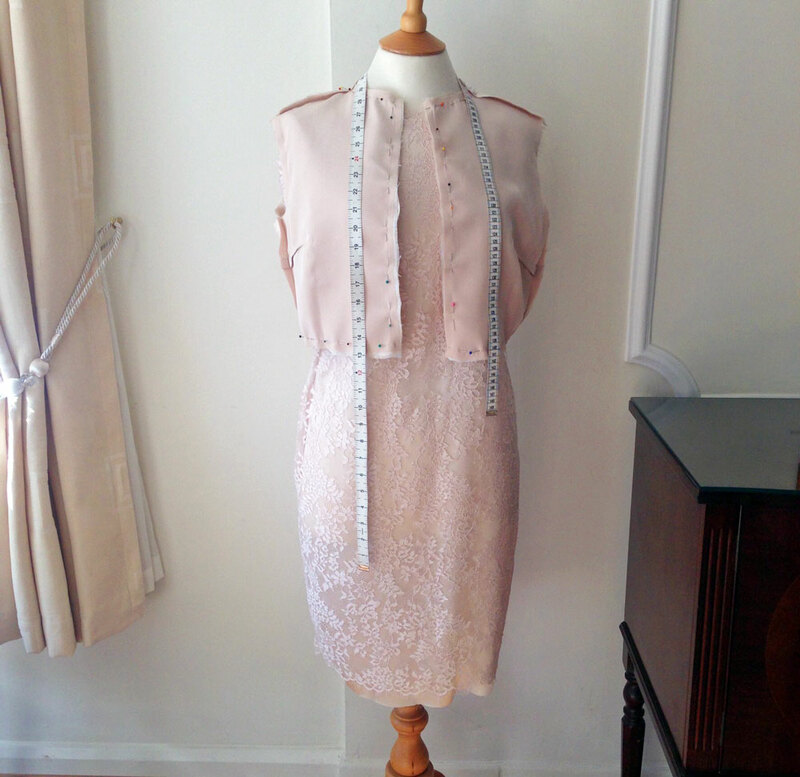 Bespoke dresses need 3-6 months to complete, but please contact me to discuss your dates and requirements. Ready to create your perfect dress? 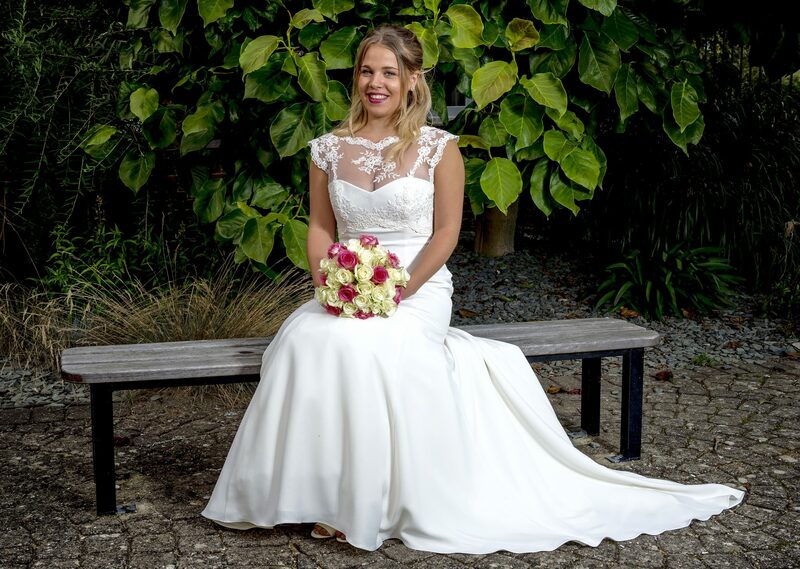 Send me an email and we can arrange a consultation to discuss your dream dress.